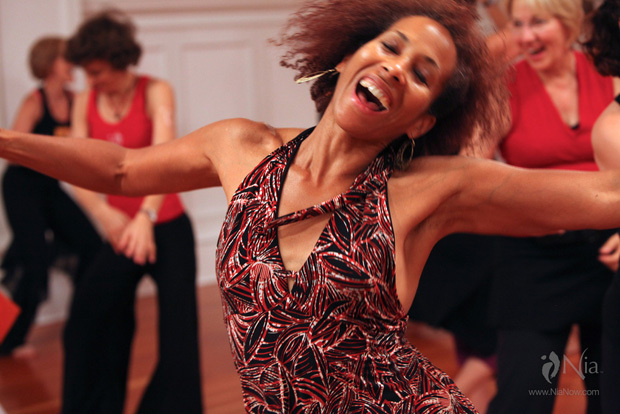 For years, I’ve been asking myself: Why do I feel so fantastic after a Nia class? Why does it give me such a radiant, lively, together I-can-take-on-the-world vibe? Is there more to it beyond the regular benefits of exercise like toned muscles, weight loss and mood improvement? Juice! is my answer to that question. While I can’t bottle and sell Nia’s go-all-night elixir, in Juice! I’ve put it on the page. I’ve identified seven skills that recharge our physical batteries and juice up our attitude and thinking. Consciously applied, these skills help us squeeze the best out of life. Never before have people been so far apart in their physical abilities. On the one hand, athletes are training longer and harder and breaking more records than ever. At the other extreme, people are increasingly inert, spending most of their waking hours in front of computers, not just for work, but for entertainment too. This leads to an array of ailments, from obesity to depression, since movement sustains us as much as food, water and air. Movement recharges our bodies in the same way that a car battery is recharged by being driven. Lack of motion stifles our vitality. our muscles, heart and lungs, we’re in the 3D of space, the 4D of time and simultaneously in the extraordinary 5th dimension of energy! And then look deeper…there’s more to it…. Without awareness, energy lies either unawakened, or courses through us chaotically. You might know the rugby words used in the scrum – Crouch Touch Pause Engage. In a similar way, the 7 Juice! skills are high definition points of awareness that create body mind connection. Embodying the seven skills outlined in Juice! gives us the power to store, organize, circulate and use energy to its full capacity. 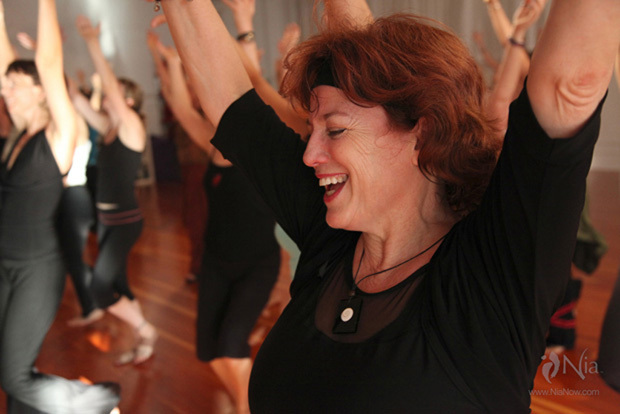 Pure energy is a potent, joyful feeling and the words: ground, pause, center, engage, balance, integrate and release are as important to energy as the notes Do-Re-Mi-Fa-So-La-Ti-Do are to music! Through applying the seven skills to movement and life we enhance composure, intuition, relaxation, creativity and vigor. In other words, Juice! In Nia, when the music comes on and I ground and breathe consciously, I reconnect to what’s good in the world and in me. Then when I’m dancing, if I repeat a movement for long enough, I transform into pure energy. I’m radiant, released and penetrating into every person, every corner in the studio and beyond. I’m a giant in that zone. I let my hair down, clear the air, make a clean sweep of things and throw the baggage out! I find release in a mystical moment. Getting a ‘workout’ with Nia is a living blessing. Then the music stops and it’s back to reality. From Goddess to Granny. once again, to stirring the oatmeal of life.